By clicking send, you agree with the Schorr Law Firm website Disclaimers and consent to being contacted by one of our staff. 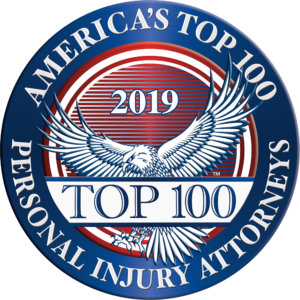 If you or a loved one have been injured in an accident we invite you to contact us so that we can discuss how you should be compensated for your harms. We are determined to maximize recoveries for our clients, and we welcome your call so we may get started helping you recover the compensation you deserve! When you meet with an attorney at our firm, we will listen closely to your needs and your goals. We will develop a plan to achieve those goals, and then work aggressively to achieve a positive outcome for you. We are here to help you! If you have been injured in an accident, you probably have many questions that require professional, honest and direct answers. You will need an advocate on your side who will help protect your rights and recover money for you for medical bills, lost wages, pain and suffering, physical impairment and other recoverable damages related to your injuries. We have been representing injured people since 2001, and we aggressively pursue compensation for our clients. We have recovered substantial verdicts and settlements for our clients, and welcome the opportunity to do the same for you. Dealing with the pain of an injury from an accident is hard enough. Dealing with insurance adjusters, medical providers and attorneys makes it even more difficult. We respect our clients and treat them the way we would treat our loved ones if they were involved in an accident. From start to finish we vigorously and diligently fight for justice for our clients. Injuries suffered as a result of an accident can be severe and sometimes life altering. If you have been involved in an accident you may have whiplash or burns to your head or neck from an airbag deployment. You may have nerve damage or spinal cord paralysis, as well as connective and soft tissue injuries. You may have broken or dislocated bones, or have lost the use of a limb. You may be taking pain medication and you may be unable to peacefully rest. Your quality of life may have been impacted and you may be fighting depression. Whatever injuries you have sustained, physical and emotional, you should immediately seek medical care from your doctor or an emergency room. If you don’t have a doctor, we can help you locate one. The staff at Schorr Law Firm understands that your immediate goal after being injured in a crash is to receive appropriate medical care to relieve your pain and discomfort, have your medical bills paid, recover financially for any lost wages or out of pocket expenses, and that you’re compensated for your pain and suffering and mental anguish. Our experienced attorneys will discuss your situation and go over the options available to you, as well as work with insurance companies and other parties involved to make sure your needs are handled appropriately and efficiently. Choosing the right lawyer for your case is one of the most important decisions you will make. You should hire a lawyer that has significant experience and success in handling accident claims. It is also extremely important that the lawyer you hire has significant litigation experience in the event your claims don’t settle and a lawsuit has to be filed. Please contact us so that we can start helping you today!